Radeon RX 400 series of graphics cards are the latest AMD graphics cards with top-notch technology that are available for the date. 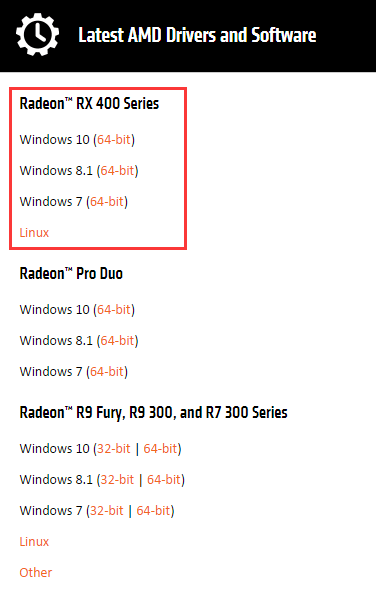 On AMD website, Radeon RX 470 is said to be “gamer optimized”, “future ready”, and “strap in for high visuals and high frame rates”. Sound very tempting and intriguing. 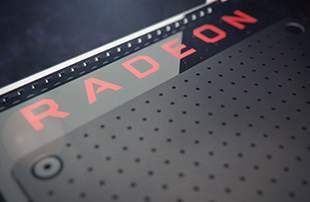 If you have recently change your graphics card to Radeon RX 470, it is highly recommended that you update the graphics card driver on your device as well so as to match up with the display. 1) Open Device Manager. Then locate and expand category Display adapters. 2) If you are seeing a display driver named AMD Radeon RX 470 or something similar, right click it and choose Update Driver Software…. If you cannot see the AMD display card driver option, it could be that your computer fails to see the display card as it is for now. 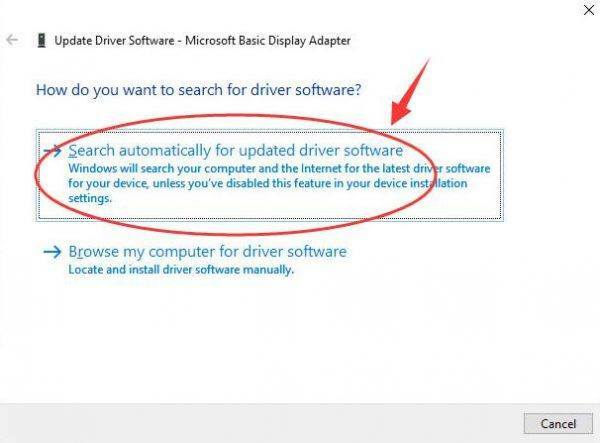 Right click the option you have and choose Update Driver Software…. 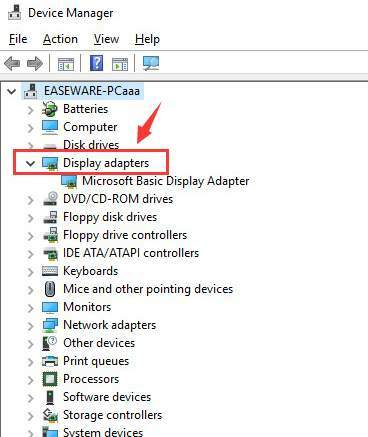 4) Wait for a while for Windows to search for the latest version of display driver that it could find. That means Windows is incapable of finding you the latest version of the display driver for you from its driver database. You might want to search for an alternative. 2) Then you will be lead to the download page. 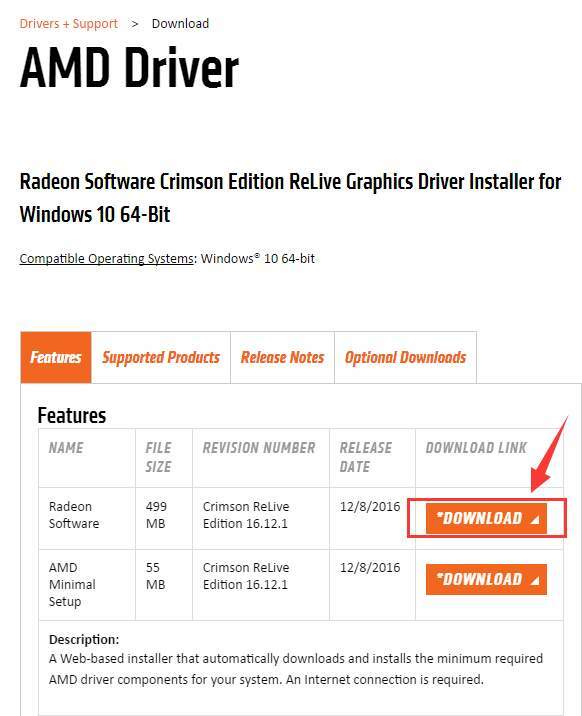 Choose the correct driver that you would like update and hit DOWNLOAD. 3) Then open Device Manager again. Locate and expand category Display adapters. 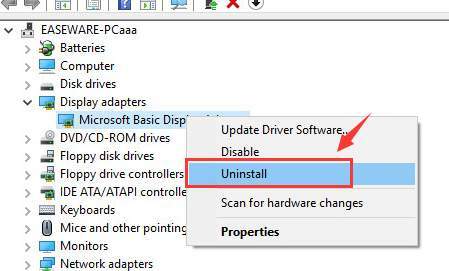 4) Right click the current display driver that you are having now and choose Uninstall. 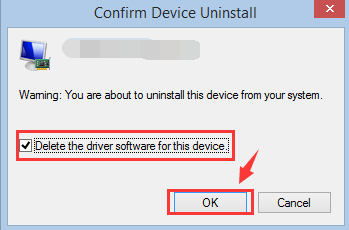 When prompted with the following notification, tick the box for Delete the driver software for this device and hit OK.
Then restart your computer if you want. 5) Double click the downloaded setup file of AMD Radeon RX 470 and run the installation of it. 6) After the installation, restart your computer for the change to take effect. If the above two options are too hard to follow for you, you can always choose to go with the alternative option: Driver Easy. It helps you automatically detect, download and update the missing and outdated device drivers on your computer. 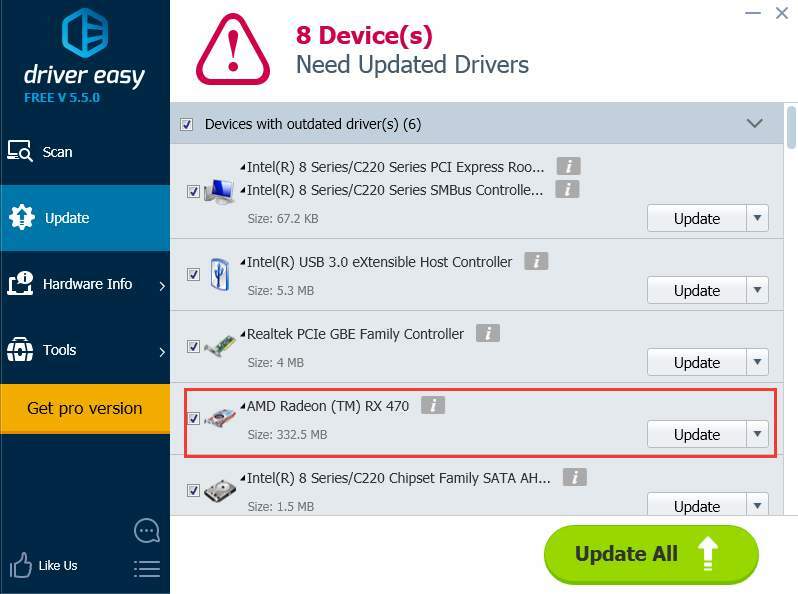 With a driver database having over 8 million drivers, Driver Easy is definitely going to help you scan out the missing and outdated device drivers on your computer with the correct result. Moreover, all these features are free to use! 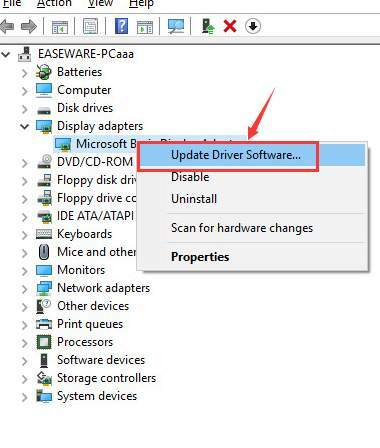 If you want to update your device drivers at a much faster speed and enjoy more other features such as driver backup and driver restore, plus the professional tech support waiting to solve your driver problem, feel free to have a try at the professional version of Driver Easy. Should you find it any unpleasant, just ask for a refund thirty days within the purchase, and you will surely get your money back.